James Rizzio is a 28-year-old Army veteran who served one year in Iraq. He said part of his job as a Unit Supply Specialist meant disposing of things at the burn pit at his base, COB Speicher, once or twice a week. He said, "On more than one occasion gone in there and seen anything from vehicle tires and car batteries to regular lithium batteries and latex paint. Pretty much everything and anything that you might find over there." Rizzio said most veterans were exposed to the burn pits in some way, "Especially the ones that had an active burn pit on their location that ran 24/7," Rizzio said. "Everybody on that base was breathing that stuff in." So far, he hasn't had any health conditions spring up that could be related to the burn pits but he knows other veterans who believe their health problems have been caused by what they were breathing in while serving. 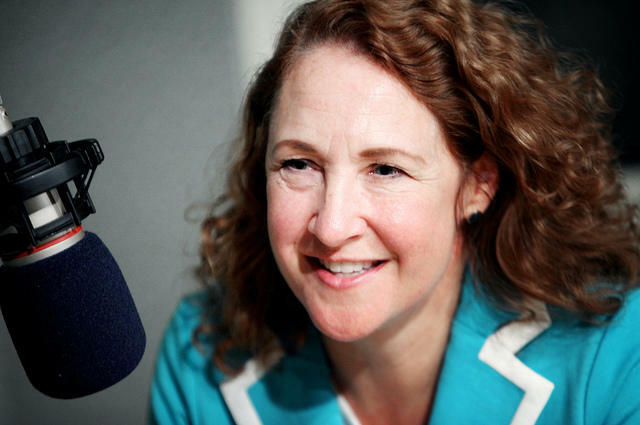 Fifth district Congresswoman Elizabeth Esty in a WNPR file photo. Congresswoman Elizabeth Esty said she's heard from many veterans in her district on this issue and thinks the federal VA should be doing more. Esty said, "They had aerosol cans, pesticides, asbestos, human waste you name it, when all of these things are burned produce really noxious, dangerous smoke and gases and we really do need to study this much better." Last year, the federal VA started a burn pit registry to gather information on veterans who've been exposed. Rizzio just learned about it at a recent Esty forum so he signed up but he said there are many veterans who don't know about it. In a statement, the Connecticut VA Healthcare system said information is given to veterans in a number of ways including outreach events and during initial clinical evaluations by patient aligned care teams or primary care provider. Meanwhile, there are lawsuits pending by Iraq and Afghanistan war veterans who've sued military contractors for operating the burn pits saying they have caused health problems like cancer and respiratory issues.